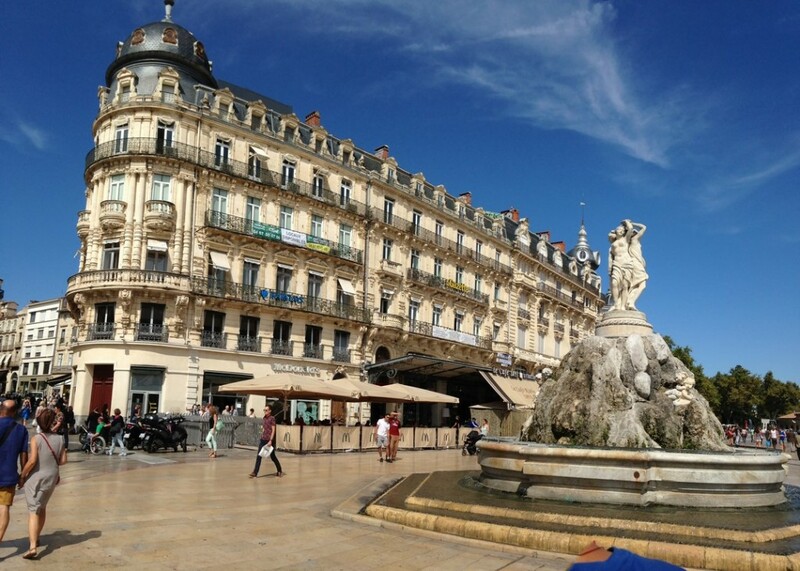 Located in the city of Montpellier, Hérault departement, in the province of Languedoc-Roussillon, the Cathédrale Saint-Pierre de Montpellier, is a Meridional Gothic Catholic cathedral and the seat of the Archbishops, previously Bishops, of Montpellier. This must see monument was rebuilt in the 17th century after getting important damages during the Wars of Religion between Catholics and Protestants in 16th century. The Cathédrale Saint-Pierre de Montpellier was formerly a chapel attached to the monastery of Saint-Benoît “Monastère-Collège Saint-Benoît Saint-Germain” which was founded in 1364. 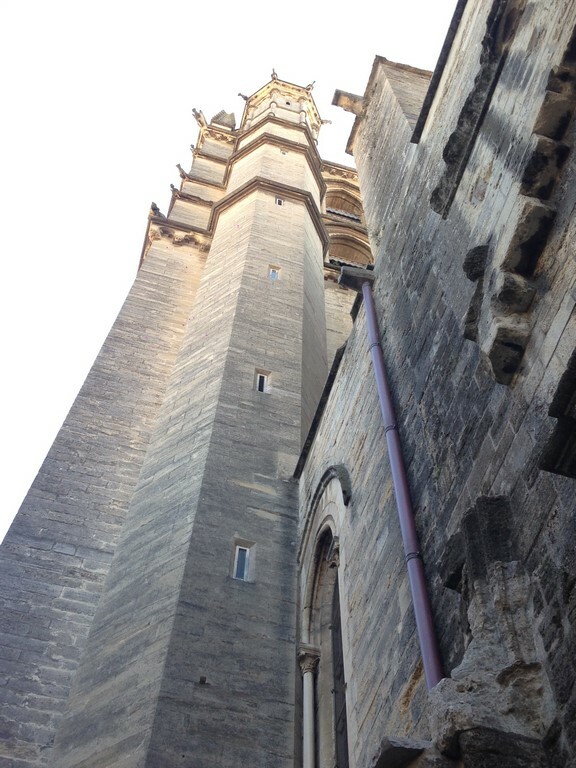 It became a cathedral in 1536 under King François I, when the Diocese of Maguelone was transferred to Montpellier. 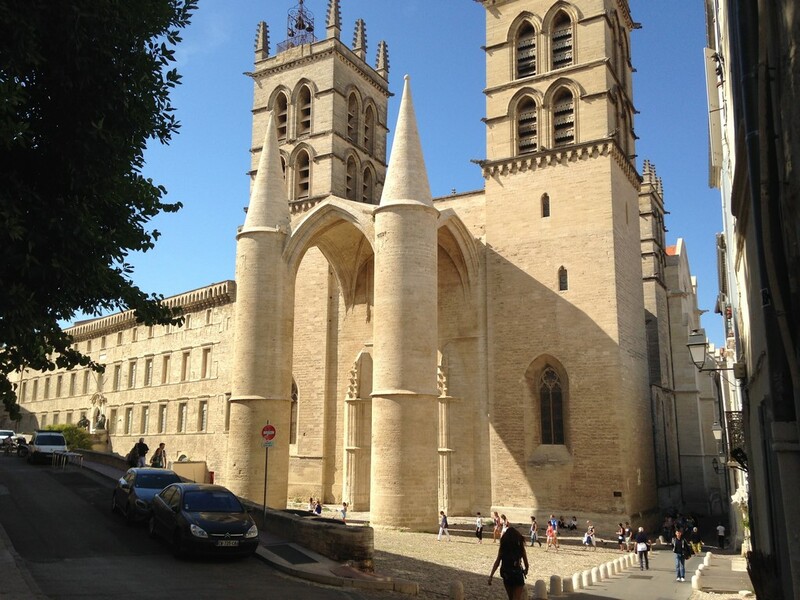 The Cathédrale Saint-Pierre is one of the only medieval churches to have survived the Religious Wars in Montpellier. It was sieged and attacked several times by the Protestants, ending up with the destruction of one of the four towers in 1567. Given the damages incurred during war of religion, the cathedral was in dire need of repairs and between 1855 and 1875 Henri Antoine Revoil decided the refurbishment of the cathedral and some indoor expansions including chapels in the choir. The cathedral is 113 m long (including the porch) and its entrance display two cylindrical pillars of 4.55m of diameter that support an impressive canopy porch dated from the 14 century. Right next door, to the North West part you can also see the court of honor of the Faculty of Medicine set up in 1400 and which was formerly the cloister of the monastery. The interior of the cathedral is 95 m long, 26.70 m wide in the nave, and 28.50 m high in the center. The highlights are an organ of a rare magnificent, fine tapestries, sculptures, flamboyant stained glass windows, one of the oldest fully functional mechanical clock in Europe, partly colored walls dated from Medieval… It is recommended to take 1h to visit the entire Cathédrale Saint-Pierre, it is free of charge and can also add some extra minutes if you have the chance to climb the bell tower for a stunning view over Montpellier. This monument is a must see.